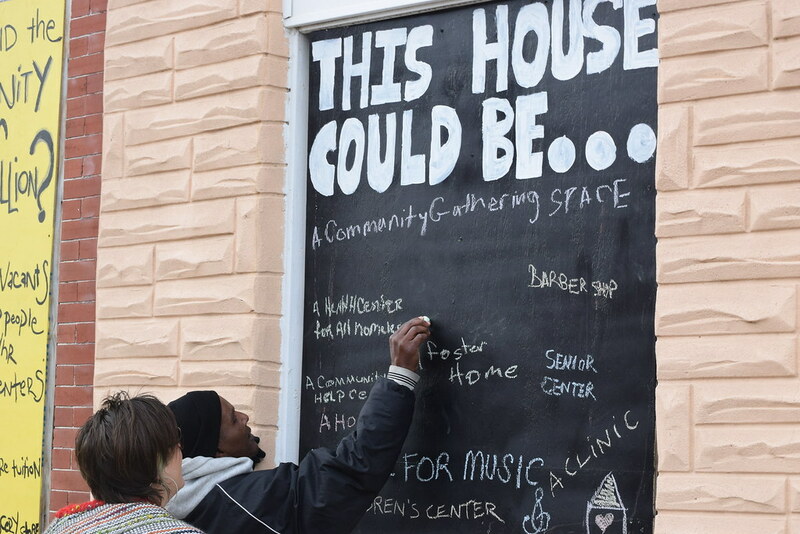 On December 18, 2016, community members transformed the plywood boards on three vacant houses on the 800 block of N. Patterson Park by painting over them with colorful images of what neighbors would like to see in their community, including: recreation centers, grocery stores, parks, greenspaces, storefronts, and career centers. 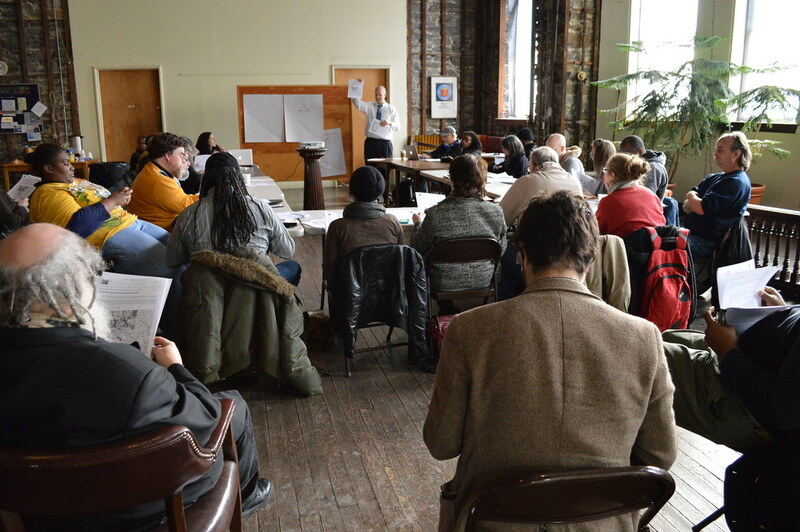 In addition to the placement of the boards, Housing our Neighbors unveiled the findings of a two-year research project showing that over the last 15 years, $30 million has flowed through real estate transactions involving vacant houses without ever landing in the McElderry Park community. 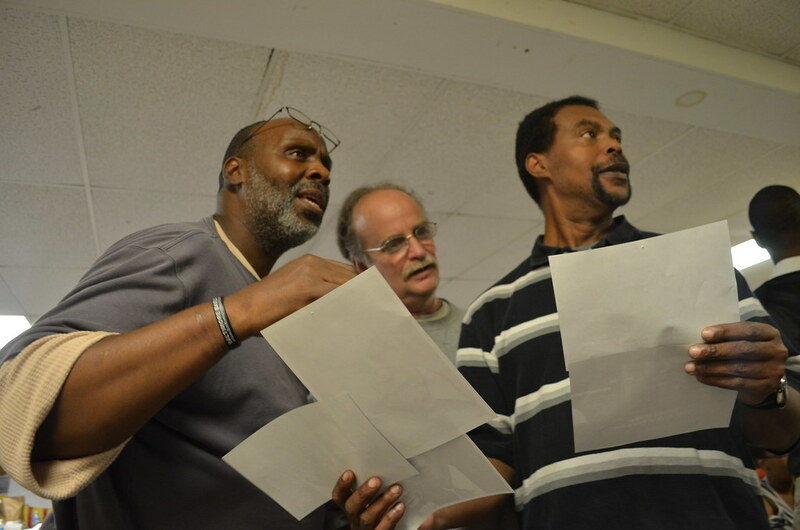 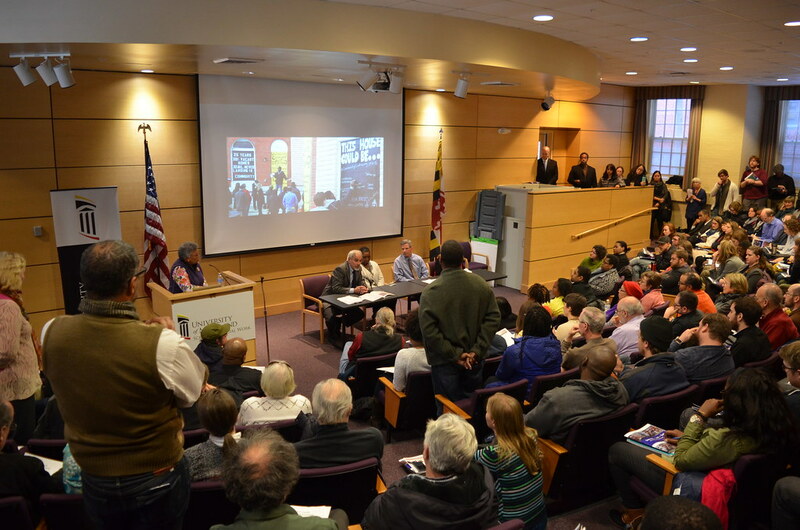 In light of these findings, neighborhood residents gathered to stress the importance of stable employment, responsible public policy, and fair development in addressing the problem of vacants. 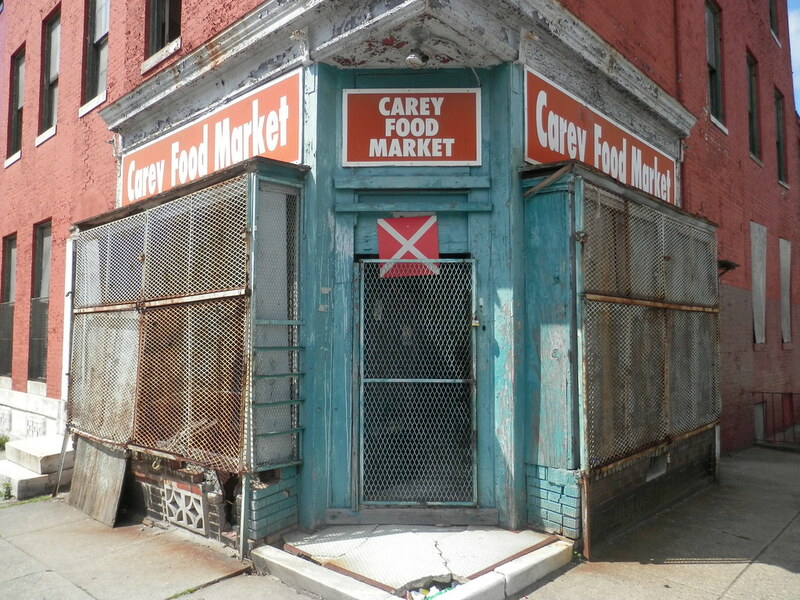 It’s time that new actions are taken in order to meet the needs of our communities. 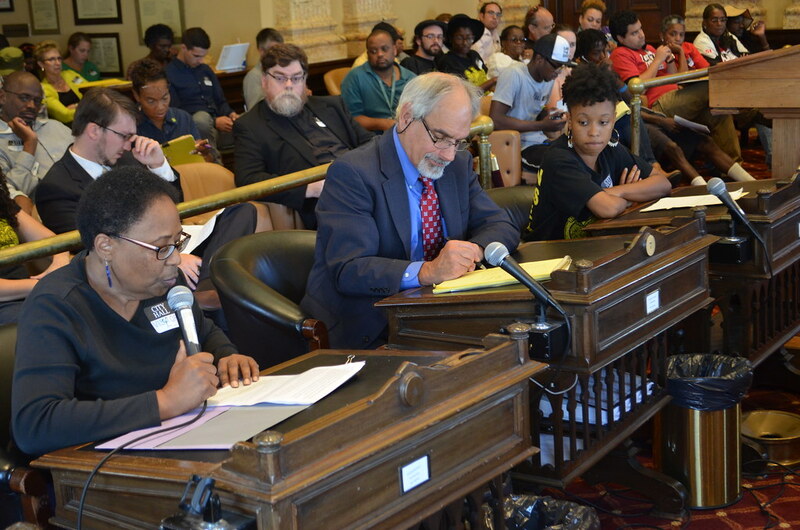 This action is just one in a long list of actions that Baltimore Rising has taken to ensure the realization of our ultimate goal: permanently affordable housing for all! 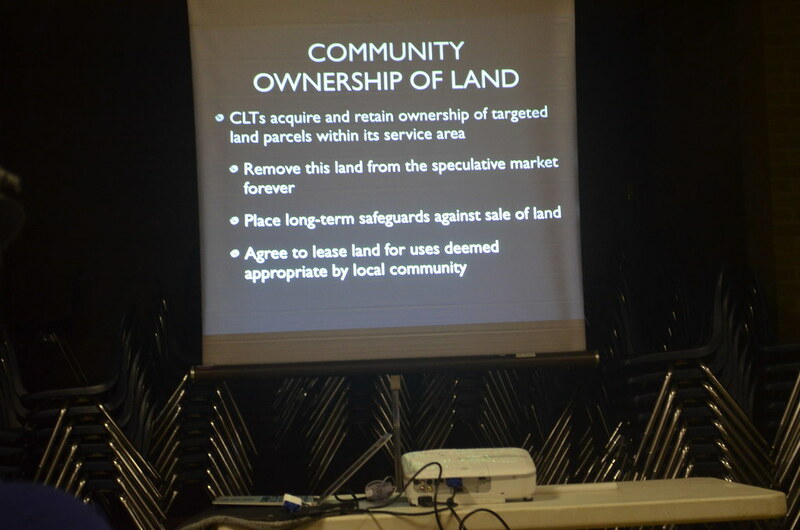 Residents, homeowners, renters, and homeless presented to members of Baltimore City Council on the work going on throughout Baltimore to develop permanently affordable, non-speculative housing using community land trusts.